With increased competition businesses are focusing on building strong relationship with their clients and customers. 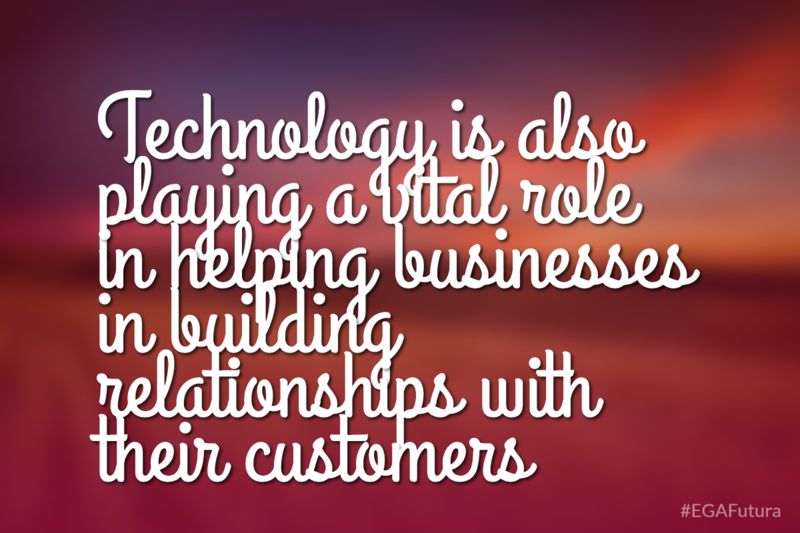 Strong relationship with the customers ensures a long term relationship and profitability to the business. 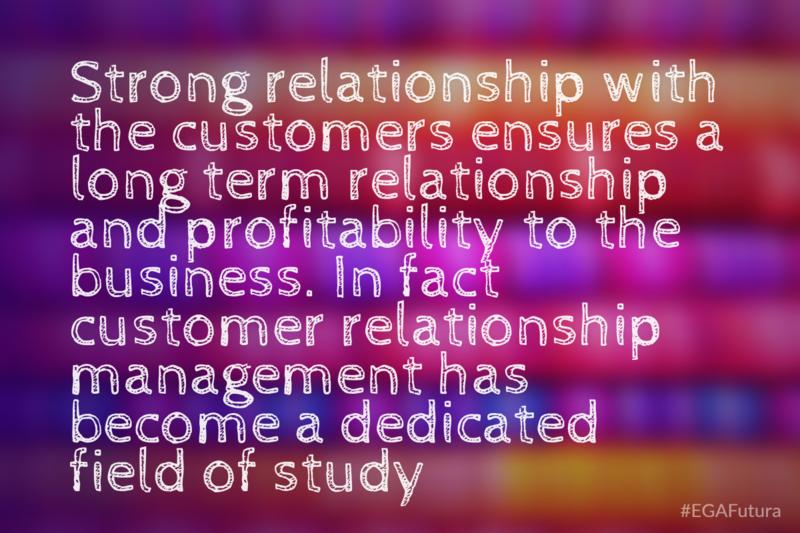 In fact customer relationship management has become a dedicated field of study. Over the last few decades we have seen technology being adopted in all spheres of business to minimize operational costs and maximize productivity. Field Service Management Solution is one such technology which has been adopted by many businesses and is helping them scale new heights and stay ahead of their rivals. Field service management revolves around three key goals – schedule, optimize and dispatch. These solutions are used by businesses that manage installs, service or repairs of systems or equipment. A Field Service Management Solution is often defines as an extension of CRM where you have high levels of back-end integration. These are end-to-end solutions that allow businesses to undertake planned and reactive service scheduling and dispatch. The system gives you a deep understanding of the products being serviced and the service level agreement between the business and the customer. It minimizes errors and resolves issues more cost effectively thus increasing customer value. These systems store a variety of data such as customer accounts, service history, technical knowledge, contractual agreements, product listings and special offers. All these data facilitates a business to offer services to its customers efficiently. Business responsibilities are increasingly blending and the focus is on sharing information that used to lay scattered throughout the enterprise. These solutions share information between different departments within the organization and thus improve interdepartmental communication. It is a very important function in any business that deals with installations and repair services. As soon as a customer request is generated this system identifies human resources who are available and assigns them for the job. There are a number of parameters that would be taken into account such as location of the customer, type of problem, parts required and inventory locations. Reporting is vital in the service industry and a robust application creates industry specific reports. These reports are generated in real-time and are available for the supervisors and managers. These can be exported to excel and other formats without a problem. These also help in tracking the progress status of a job assigned to a resource. These solutions keep track of the entire inventory that includes all phases from purchase to sale of the all the components being used. The inventory management feature also helps in assessing job cost and financial statement. FMS applications are designed on a solid platform of accounting and hence they would be able to carry out accounting for small and large businesses. They can fetch data from individual resources in the team and compile them to get an overall accounting report. These systems allow field agents to update their work status remotely. This real-time information is extremely handy when it comes to assigning multiple tasks to agents on the field. This helps in recapturing unapplied time and eliminating the temptation for technician to forge their time sheets. 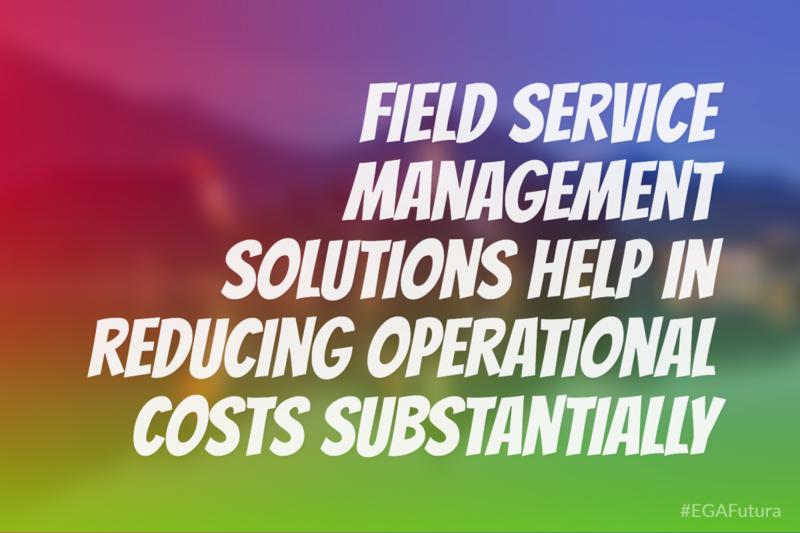 Field Service Management solutions help in reducing operational costs substantially. With this system in place you would be able to use your human resources and products more efficiently and this significantly cuts operational costs. Businesses that have adopted this system have reported considerable reduction in overtime and increase in number of jobs completed on a day to day basis. This is a huge advantage on the balance sheet as it increases resource utilization. This system also helps in narrow down customer’s wait window which is one of the major contributing factors to customer dissatisfaction levels in the service industry. Many businesses have brought down the waiting time to one hour or even lesser and this has helped in improving customer satisfaction rate significantly. In any industry it is very important for the leaders to identify the trends in their daily operations and overall business. These solutions come with reporting tools that allow you to identify patterns in workflow. Any trend in technician productivity, failing to meet the industry standards, late response to tasks etc. can be spotted on a report easing managerial interventions. It is important to create a competitive environment in any business. These solutions would offer you detailed report on the performance of individual field agents. You can compare the performance of agents on a month-to-month or quarter-to-quarter basis and reward the performing agents and setting new goals for the under performers. These solutions also help in shortening the billing cycle. When a job is completed the customer can immediately review it and approve on the device screen. Once this is done an invoice is immediately generated which is sent over to the customer and facilitates faster payment. FSM solutions can easily be integrated with existing IT solutions thus allowing easy import and data. Service providers offer applications that ease the task of importing data into the new system and making them available to the filed agents. Information plays a key role in business operations and getting the best out of your resources depending on how well informed you are. 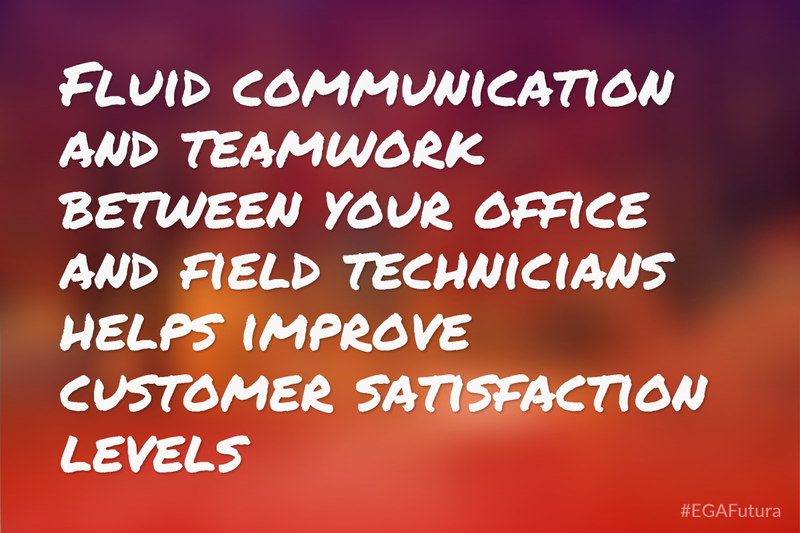 Fluid communication and teamwork between your office and field technicians helps improve customer satisfaction levels. These solutions are highly customizable and can be tuned to serve the needs of individual businesses. Modern FSM solutions come with Android and iPhone apps thus allowing managers and field agents to access the solutions and update live status easily. What is Stock Management Software? What is a Help Desk Knowledge Base? What is a Marketing Automation System? What is a Contact Management System? What is a ERP System? Infographic: How do Colors Affect Purchases? 6 crazy ways to enhance the success of your business and get your brain thinking in a new way! Copyright (c) 1994-2019 EGA Futura. All rights reserved.